Check in: Saturday at 4:00 p.m. Marina di Stabia, Napoli. 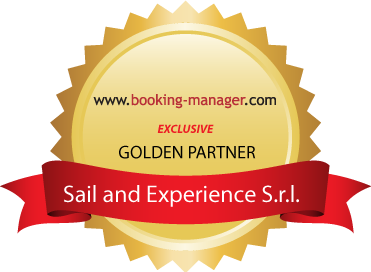 With the sailing tour Life is tasty!, you have a 7 day tour package taking you through Castellammare di Stabia, Italy Capri, Positano, Amalfi, Agropoli, Sorrento. The Life is tasty is a small group tour that includes accommodation as well as an expert guide and more. After boarding and accommodating in your cabin with a welcome cocktail we will depart for Capri. Once anchored in the beautiful bay Marina Piccola we will have dinner and en evening walk along Capri narrow streets. The morning will be dedicated to the exploration of the island’s bays and the visit to The Grotta Azzurra. Lunch on the boat and relax for the afternoon. In the evening excursion to the winery “Scala Fenicia” where, while visiting the wine cellar which once was a roman cistern, we will taste the Capri’s wines and other delicious local products enjoying the silence and the breathtaking views sitting in the terrace. After a night in Marina Grande we will live the island and sail to Amalfi passing by Positano and the “Li Galli” Islands. When arrived we will have lunch and spend the afternoon diving and sun bathing in the Conca dei Marini Bay. Back to the Marina , we will have dinner and visit the village. “Lemon Tour”.Guided visit to a lemon grove with explanation of cultivation mode of the “Limone Costa d’Amalfi”. After a welcome drink, the walk follows to the collection center that takes care of the process of lemons selection and processing and the small craft distillery “Lemon Earth” with the presentation of the production of “Limoncello” followed by tasting of local liquors. Dining and relaxing. In the afternoon departure to Agropoli we hope to reach after about 4 hours. Mooring in port, dinner and an evening dedicated to the discovery of the village. Guided tour of the Vannullo estate, the temple of buffalo mozzarella. We will visit the stables during the milking process and the leather workshop. After a quick glance to the museum we will taste the mozzarella, ice-cream and buffalo milk yogurt. In the afternoon we break the moorings for a short cruise to the bay of Trentova to watch the sunset. Depending on weather and sea conditions we will decide whether to stay in the bay at anchor or returning to port. After a delicious breakfast pastries from Sorrento culinary tradition, we set off for a day devoted entirely to relaxation. Diving, swimming and resting, lying in the sun or under the shade of the awning. Lunch in the Bay of Puolo. In the afternoon we will sail to Naples where we will moor before dark where we will plunge into the Neapolitan Movida. We’ll drink together and taste at our fantastic holiday just spent in one of the local waterfront, giving us an appointment for the next cruise! Paying conditions: first 50%, at the reservation and remaining 50%, 30 days before departure..